CMI continues its fleet expansion with the acquisition of another vessel (delivery April 2008). This is a specialist Ultra Shallow Draft Ice Strengthened Anchor Handling Tug “Taucher O Wulf 10” which is now renamed “C.M.Wulf”. 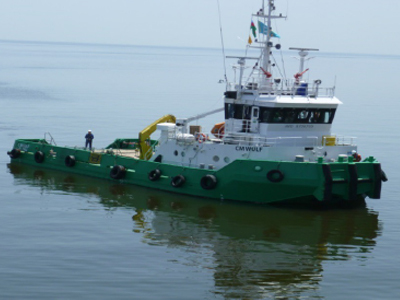 The vessel operates in the North Caspian specialising in survey and support roles. The vessel is also capable of shallow draft seismic acquisition and support.